A clear compensation strategy based on market data can help establish career paths for your most valuable employees and ensure they’re less tempted to seek a market correction from another employer. It’s a simple formula: If you’re not paying valued employees market wages, you will lose them. And the best way to ensure you’re paying competitive rates is to build a compensation plan that reflects the true value of your employees. 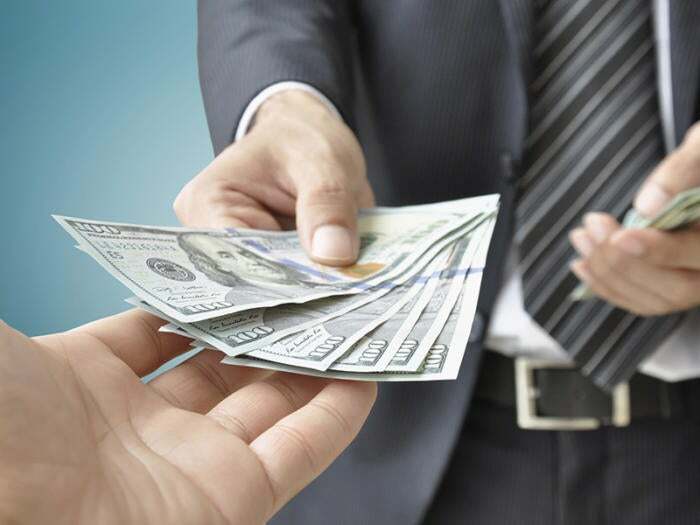 Savvy companies know a well-structured compensation plan can help attract and retain elite talent, especially in fast-paced industries such as technology, says Mykkah Herner, modern compensation evangelist for cloud compensation software solutions firm PayScale. The IT demand landscape can change drastically, making it hard for companies to keep up with market wages, says Chris Bolte, CEO of Paysa, a provider of real-time salary, career and job insights. Once this is known, resentment and disengagement can fester, sending talent in search of a larger paycheck. That’s very bad news in a tight IT talent market. “You absolutely don’t want your valuable talent coming to you and saying, ‘I got this competing offer for $130,000, I know I’m worth that, I’m going to leave,’ because then you’re in a counteroffer situation. And they’re always going to feel that you’ve let them down — that they only got a raise because they had to threaten you. You need to be keeping up with market rates so you can proactively deliver something that will keep them happy, engaged and productive,” Bolte says. That doesn’t have to mean shelling out $30,000 salary increases every year, Bolte says. It may be enough to initiate transparent conversations with valued employees about what they currently make, what the company can afford, and how you can meet in the middle. “What about honesty? What about saying, ‘We realize that the market has moved past where you are. We really value you, and we can bring you up to $120,000,’ and see what happens,” Bolte says. “You might be surprised that it’s not so much about the exact dollar amount, but about your talent feeling that you care about them, you understand their concerns and what’s happening, and you want to do right by them. That’s huge,” he says. According to PayScale’s 2017 Compensation Best Practices Report, 37 percent of 77,000 organizations surveyed have a compensation strategy in place and 34 percent are developing one. Of top-performing companies, 47 percent have a formal compensation strategy in place, according to the report. PayScale’s 2018 Compensation Best Practices Report underscores the need for transparency in a market where retention is critical but wages are flattening, purchasing power is dropping and base salaries are barely keeping up with inflation, says Lydia Frank, vice president of content strategy at PayScale. Of the 5,710 companies surveyed in the U.S. and Canada, 59 percent say retaining top talent is of critical importance in 2018, and 84 percent plan to give base pay increases this year. However, these increases will be slight, as 73 percent of organizations say they’ll increase base pay 3 percent or less. “We’re in kind of scary time right now,” Frank says. “Especially in tech; we see unemployment rates staying low, but when we look at wage growth since 2006 and factor in inflation, it’s actually down about 6 percent. So, people are feeling this tension that the additional money in their paychecks just isn’t paying off,” she says. This can lead many to the conclusion that they need to find a higher-paying role elsewhere, unless their managers can convince them otherwise — and this is where organizations are failing, Frank says. “This report identified what we’re calling ‘The Great Divide,’ where managers aren’t doing a good job of explaining pay to their reports, and they don’t realize that they’re not doing a good job,” Frank says. While 85 percent of managers agree or strongly agree that they feel confident in their ability to explain pay decisions to their employees, only 37 percent of organizations feel the same. And while 67 percent of managers believe their reports are paid fairly, only 21 percent of employees feel the same, according to the report. “Whoever’s managing compensation for these organizations isn’t doing a good job communicating the strategy and rationale to managers, and then managers aren’t effectively translating that ‘pay brand’ to their employees,” Frank says. “Most organizations want their employees to feel valued, they want to pay fairly and at-or-above market rates; they feel like they’ve put together the best compensation plan they can, but employees just aren’t buying it. … So, you have to build trust and communication all the way down the line if you’re going to address this. Because pay perception matters more than what is actually paid,” Frank says. Having a formal, structured compensation plan can help align compensation with business goals and strategy and help create transparency and fairness, as well as boost engagement, morale and retention, says Diane Schuman, CAPM, a customer training specialist at PayScale in a recent webcast on compensation strategy best practices. To build a modern compensation plan, start by laying the groundwork, says Schuman. This means getting executive buy-in and aligning organization resources with business goals. “If your goal is to double your revenue over the next five years, then you are, say, going to have to develop one or two new products annually. To do that, you’re going to have to attract, retain and develop top-notch talent,” Schuman says. “So, a comp strategy is going to help you do that,” by proving your organization believes its employees are its most valuable asset, and paying them consistently, transparently and fairly, she says. Once you’ve laid the foundations of your overall compensation philosophy and gained organizational buy-in, it’s time to get your jobs in order, Schuman says. Aligning roles across your organization is important for compensating benchmarking purposes. Drilling down to define your actual compensation strategy requires an understanding of where you compete for talent, against whom, and how you want to reward talent through pay and benefits, Schuman says. “Most companies will say they aim to hire and retain the best talent through having competitive rewards,” Schuman says. “This is both a business and a cultural alignment” of your compensation strategy with your business goals. “Where are you comparing your employees; are you thinking you want to compare them to only one market that’s like yourself; your similar location, size, industry? Or are you creating multiple markets?” she says. Many organizations know to look at talent comparisons within their own industry. But with mission-critical domains, you might have to widen your scope. For example, software developers might be a separate market — one that has you competing not just with companies like yours but with technology companies as well. “You also should ask where you are seeing turnover and what factors are contributing to that. Also, ask your employees where they would compare themselves,” Schuman says. Their perception might differ from yours. You’ll then need to decide how competitive you want to be relative to the market, she says. Are you going to be at-market (50th percentile)? Are there certain roles where you’ll want to lead or lag the market? Are there roles for which higher education or more experience will be essential? “Everyone in the organization has to be on the same page in this regard, as far as where to be most competitive,” Schuman says. “And, remember, there are other rewards and benefits that can be added here, not just with compensation and salary, but with things like flexible schedules, increased PTO or time-off options,” she says. Market data is essential to figuring out the nitty-gritty of what to pay. For that, there are a number of resources to consider, compensation specialist Krystal Praast, CCP, says in the PayScale webcast. Traditional surveysare very popular, Praast says. With traditional surveys, organizations match their employees with job descriptions, record what they’re paid, and send that data to the surveying body. The survey body then analyzes that information and provides empirical data and information back to the organizations. Administered by HR or compensation specialists on a predictable timetable, surveys offer a large sample size, making them quite accurate, Praast says. But the data can quickly become obsolete, especially at the end of its shelf life. This can lead to omissions for emerging job trends, she says. Industry/trade association surveysare similar to traditional surveys but are specific to individual industries or niches that service a specific lateral role or function (e.g., engineers, salespeople, security professionals). The process is the same as with traditional surveys; each trade or role-specific organization makes surveys available to its members who then report and return the surveys for analysis. The same pros and cons for traditional surveys apply. Data aggregatorsare a curated mix of market data from a variety of sources with modeling applied to fill in any gaps, Praast says. The downside is that it’s often not clear where the data comes from, and the fact that modeling has been applied means results may be slight issues with accuracy. HRIS or internal datais based on millions of records that customers upload to their HR systems, making the data very accurate, but these data sets aren’t helpful for benchmarking hot, emerging jobs that everyone is struggling to fill. Government dataincludes data from the Bureau of Labor Statistics, which offers comprehensive, in-depth compensation data across a broad sampling of jobs, industries and roles, which is a major pro. But the downside of using BLS or other government data is the freshness – or lack thereof – of the information; it’s often lacking many new, hot and emerging roles, and the data’s often far out-of-date, Praast says. Crowdsourced datais data submitted by individuals to organizations and sites such as PayScale, Glassdoor and InHerSight. The advantage of crowdsourced data is its immediacy, says Praast, as it is updated daily, so you can see changes in near-real-time. They do, however, rely on employees to self-report, and there’s also a tendency to underrepresent executives, as well as a bias toward white-collar jobs. “Scraped” datais aggregated by scouring publicly available information from job listings; this source is much less commonly used in the U.S. than abroad, Praast says, because U.S. employers do not often include compensation information in job listings. When formalizing pay guidelines, there are several concerns to consider.